China and Russia, two of the world’s top gold-holding countries, are buying even more gold. China in particular is stepping up its gold game. 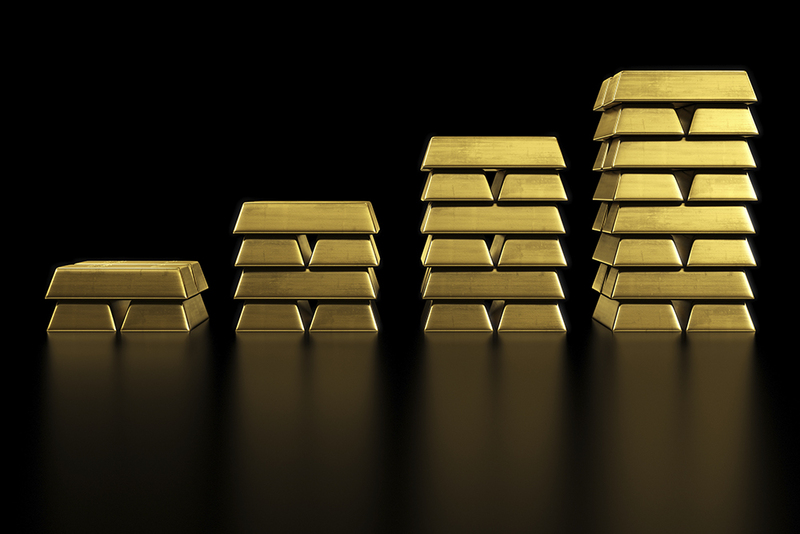 As of March 2015, China has the sixth largest gold reserves in the world at 1,054.1 tonnes. Russia ranks fifth with 1,207.7 tonnes. See the full top 10 in our infographic: Which Countries Hold the Most Gold? Russia has been known to have a large appetite for gold, being the top buyer in 2014. The true current size of China’s gold reserves is uncertain and somewhat of a mystery – the country hasn’t disclosed its holdings since April 2009 – but Bloomberg Intelligence claims China may have tripled its gold reserves since the last reporting. After two months without buying, Russia’s central bank bought 28 tonnes of gold in March – its biggest one-month purchase in six months. “It’s interesting that Russia is still buying because its economy has taken a knock from Western sanctions and from lower oil prices. This sends a very bullish signal to the gold market,” said precious metals analyst David Jollie to Bloomberg [emphasis added]. The true size of China’s gold hoard has been the subject of much doubt and scrutiny. China is notoriously secretive about its gold reserves and does not report its holdings every year. Many speculate that China under-reports its holdings, and others believe the country has been buying gold secretly and stealthily. Based on trade data, domestic output, and China Gold Association figures, Bloomberg Intelligence says China may have tripled its gold holdings since April 2009 to 3,510 tonnes. That amount would put them second to the United States in worldwide gold holdings. China has been ramping up efforts to make the yuan a viable competitor to the dollar, leading to speculation that the central bank is stockpiling gold in effort to diversify its $3.7 trillion reserves. China has also been attempting to add the yuan to the International Monetary Fund’s currency basket, the Special Drawing Right (SDR), which includes the dollar, euro, yen and British pound. To do so, China may have to disclose its holdings to the IMF before meetings on the SDR occur in May or October. “Gold has always been, through the history of China, a way to project power. They are thinking about how to make the yuan more international, and so this is a possible reason why they are buying so much gold.” said Kenneth Hoffman, metals and mining analyst at Bloomberg Intelligence [emphasis added]. These large gold purchases by China and Russia could help restore investors’ confidence in gold as a viable reserve asset. In addition, it shows an attempt to diversify away from the U.S. dollar and possibly weaken it. Russia bought gold in March despite its struggling economy, demonstrating just how strong Russia’s desire to hoard gold is. These cues have the power to improve investor sentiment in the gold market and drive up prices. If the dollar takes a hit, it could also push investors toward gold as a hedge. Gold ownership is not limited to central banks. If central banks of the world’s most powerful countries own gold, why shouldn’t you? Call American Bullion today at 1-800-326-9598 to find out how easy it is to own physical gold coins and bars.